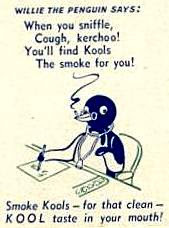 This Is Getting Old: Do Penguins Smoke? And they are good for you too. Stupid penguins. That's why they're going extinct. 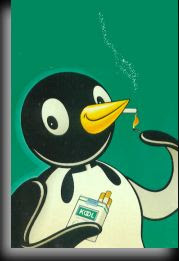 Not global warming, they can't stop smoking the menthols! 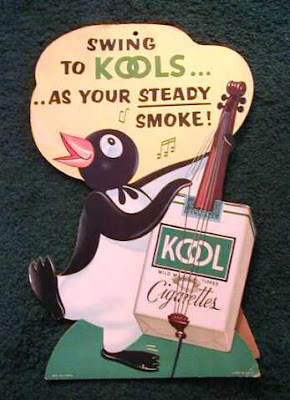 This doesn't explain why I was kicked out of the zoo for giving the penguins cigarettes. 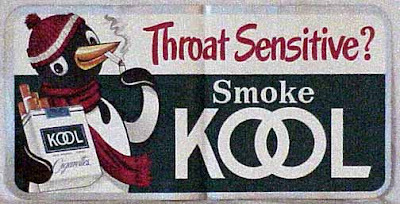 Maybe cause they weren't menthol? Anyway, I have been reading your blog for awhile and let me tell you I love it. I know the subject matters of our blogs are a little different, but that doesnt really take away from my appreciation of yours. I wanted to post a link to your blog on my site, would you be interested in a link exchange? Chip- yes penguins are stupid. If the season ended today, they wouldn't even make the playoffs. Scott- as a HUGE fan of Cookie Puss, consider yourself linked. Keep up the good work. I am glad you share my appreciation of Cookie Puss. Do you share my love of fudgey the whale as well? Scott, my girlfriend actually got me a Cookie Puss for my birthday and now we order one at least once a month. The nose is always the first to go. Fudgey's ok but Cookie Puss is the best.